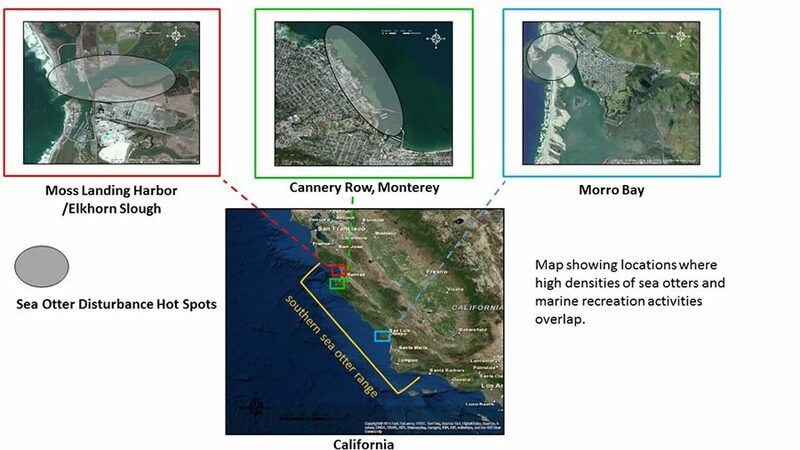 In order to investigate the effect of marine recreation and other human activities on sea otters, as well monitor changes in disturbance levels as our outreach measures unfold, Sea Otter Savvy has implemented a research program in collaboration with scientists and students from the Southern Sea Otter Research Alliance. Our method of data collection will include a randomized approach in which sea otter behavior and activity, and the number, type, and proximity of a range of factors that may trigger behavior change, are recorded and contrasted between sites of predicted high and lower levels of disturbance. Hannah is a student at Monterey Peninsula College where she is studying marine biology. Hannah has joined our team as a summer intern to learn more about field research and the science of sea otters and wildlife disturbance. Follow along with @seaottersavvyhannah on Instagram as she learns about sea otters, research, and the growing issue of wildlife disturbance. Deborah’s background started out with graduate studies in ecotourism, wildlife conservation, environmental education and the people/nature interface, focusing her masters (MSc) work on the issue of sea otter disturbance by recreational activities in the Monterey Bay area. Are you interested in helping further this important research? Join the Sea Otter Savvy Citizen Science Team! 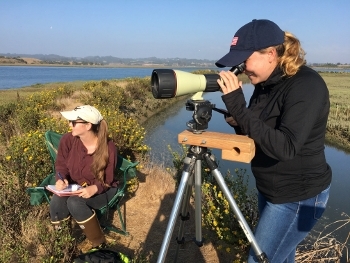 Volunteers and interns are responsible for collecting the majority of our data on the relationship between sea otter activity and marine recreation at our “Disturbance Hot Spots”. Volunteers with partnering agencies and organizations (Friends of the Sea Otter, California Department of Fish and Wildlife, Monterey Bay Aquarium, Moss Landing Marine Laboratories, UC Santa Cruz, Caly Poly San Luis Obispo) team up to monitor how sea otters respond to the presence of an array of potential sources of disturbance, and share information about sea otters and respectful sea otter viewing with the public. Participate in the important research that provides the foundation for the work we do: join our citizen science team!